I've been running just fine with the Crystal Reports tool for like 2 years now. 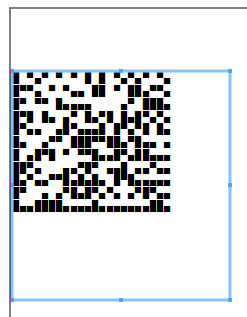 But all of a sudden both reports that use the 2D barcode are showing spaces. One report is vertical gaps, the other is horizontal. Stranger still is the fact that the reports themselves haven't been modified. GAH! Anyway, I've tried tweaking the font size, zeroing out all spacing, and nothing seems to help. I'd love some ideas for other things to try. Well, I just changed the font from Courier New to Lucida Console in the Native Generator for Crystal Reports file, and it looks better now. Go figure.